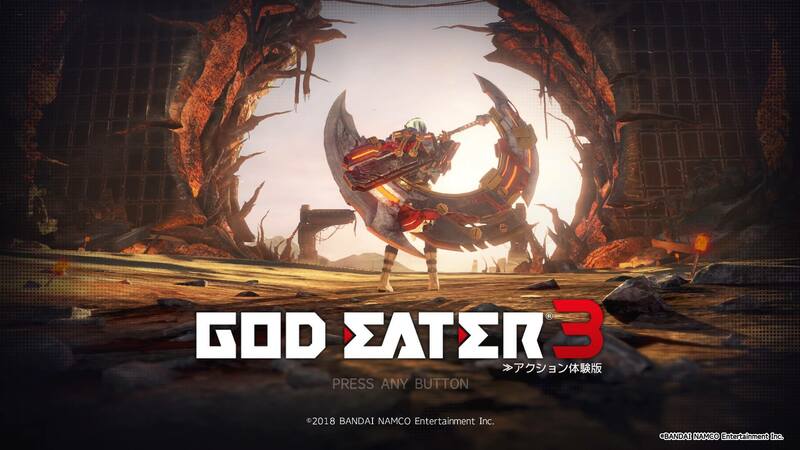 Free Download GOD EATER 3 (PC Game) Full Version - CODEX. 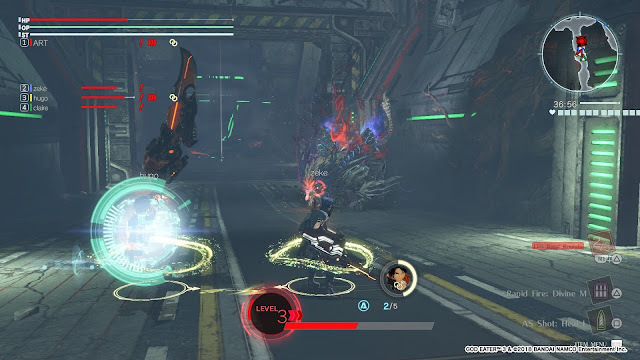 God Eater 3 is an action role-playing game developed by Marvelous First Studio (Marvelous' internal development studio) and published by Bandai Namco Entertainment. 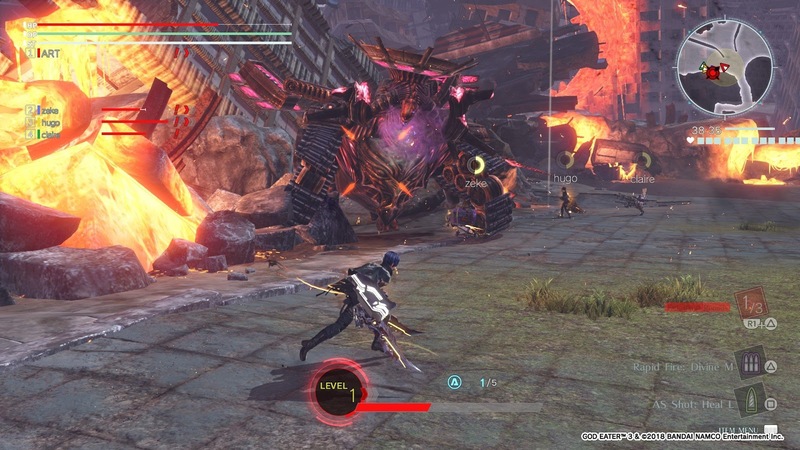 As the third main entry in the God Eater series, the game was released on February 8, 2019 for Microsoft Windows (PC). 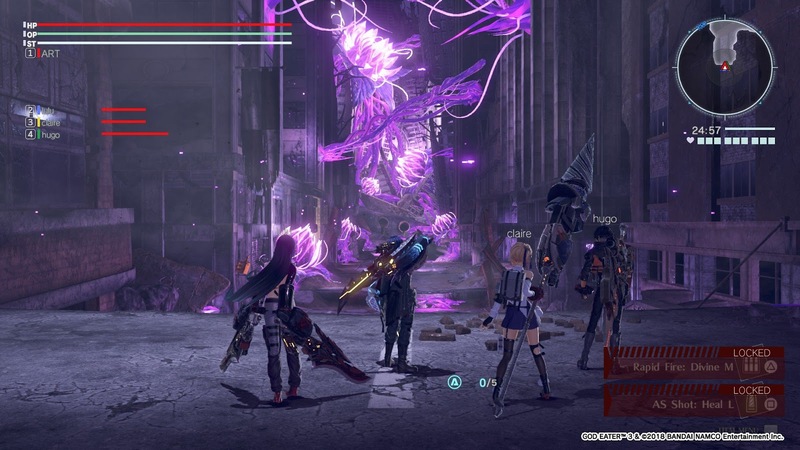 Offering a faster and smoother battle sensation, most of the gamers who are quite familiar with the franchise certainly look forward to the presence of the third series - God Eater 3. God Eater 3 tells of an oracle cell that suddenly appears and destroys everything, creating a new Aragami named Adaptive Aragami who cannot be killed with ordinary weapons. To overcome this, the remaining human beings created a new God Eater named Adaptive God Eater or AGE. You will play the AGE who is locked up in one of the refugee camps named port Pennywort with your best friend, Hugo. 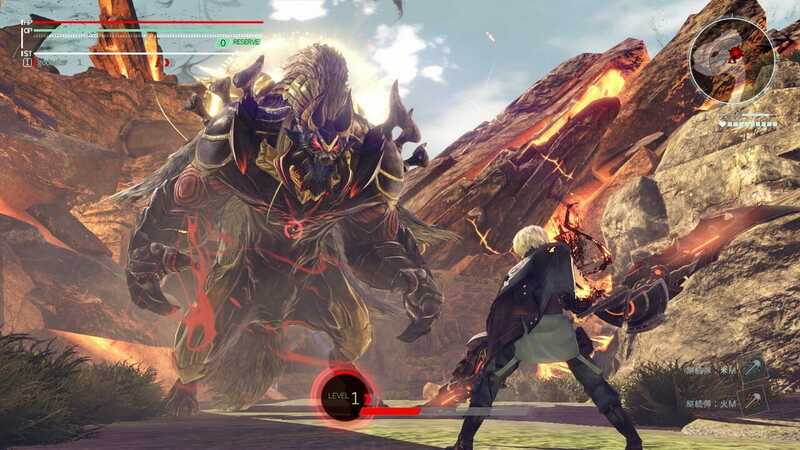 Initially, you and Hugo will be assigned to annihilate the wandering Aragami, until finally meeting a new type of stronger Aragami named Ashborn. Along the way, you will find some intrigue and drama to uncover the mystery of Ashborn, the destruction of Fenrir, and the Oracle Cell that caused the chaos. God Eater 3 has gameplay that is more or less the same as the previous series, but with quite a lot of changes. If previously you will use Blood Power to become a special skill, then in this series you will use Burst Arts. It is divided into three types: Ground, Jump, and Step, each of which has a unique style and combo. Burst Arts is available in every weapon, both sword and new dual blade weapon called biting edge. This skill will be used if you have entered a burst mode after performing Aragami devour and attacking it according to the combo provided. He has a maximum level of 5 and you can increase it by using it as often as possible when the mission takes place. So, if you use the Ground attack more often during the mission, then you will only get EXP Ground and so on. Burst Arts can also be combined with Burst Effects which will open every time you increase the skill. Burst Effects will be able to give you additional damage at the end of each combo. He has many different types of effects on each weapon. Besides Burst Arts, there are many mechanisms added to the game, starting from Dive, Air Devour, to Acceleration Trigger. Dive will give you practical options for dashing and jumping straight towards your enemy very quickly. He can also be used to chase Aragami who runs away when the condition of his cellphone is running low. But keep in mind, it will use very high stamina, so you must be careful in using it. Meanwhile, the Air Devour makes burst-mode faster and more practical. You don't need to wait for the air type Aragami to fall and go down first before finally being able to use devour. All you have to do is jump and press the devour button, then you will do a quick devour that will speed up your mode burst without much waiting. Engage is one feature that will help you in battle. You can get additional effects from other characters and your character when activating it. Starting from the effect of adding defense by 15%, until the devour attack can be increased to more than 10%. You only need to be close to other characters when fighting to fill the Engage meter until it's finally full to use it. You can set all engage settings through the terminal. Next is the Acceleration Trigger whose symptom is a temporary buff that will give you temporary buff. Like adding a melee attack for a few seconds, or adding a temporary burst-mode. It is marked with a small blue triangle at the bottom of the center of the screen, and you will only be able to use it if you meet certain conditions, for example, devour 5 times, or cancel the Aragami bond three times. Acceleration Trigger not only applies to you, but also your teammates. The effect is different in each character. God Eater 3 at a glance does not have many significant changes in terms of visuals. But Bandai Namco managed to polish the gameplay very well, the Dive system and practical Aerial devour not only added to the excitement of the game, but increasingly accelerated you to hunt down the Aragami. A simple battle and Ashborn Aragami that challenges you must think twice before hitting it. Their focus on gameplay makes the lack of God Eater 3 from the side of the story. Moreover, the absence of deep personal stories between characters. The lack of costumes and character creation options makes it seem like it's done in a hurry and focuses too much on just one aspect. Although it is quite minimal, it is only natural for Bandai Namco to pay attention, especially for the game they call a sequel. But beyond that, the game is very enjoyable and enjoyable. 0 Comment for "GOD EATER 3 (PC Game) Full Version - CODEX"